Why not, your book is worth it. After all you didn't write it so that no one could find it, buy it or read it. It is an extension of your dreams and desire to share the love of Christ with others. A desire that most likely came to you by the very Spirit of God. Marketing a Christian book is not a easy task. It requires a marketing plan and a plan that targets the Christian reader. After all you haven't published a secular book, or a non fiction book. You have published a Christian book. 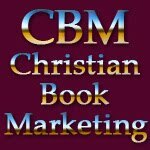 So where do you begin with regards to your Christian Book Marketing plan? The following packages will put the wheels into motion and provide you with expanded online marketing while creating a major online presence for you as author and your book. A Author Article Blast consist of writing a article about the author's book. We also incorporate your book cover image and a link back to your authors website, blog or book page and place the marketing on 100 separate Christian sites for one full year. This is a great way to promote your book while building a online presence. Upon completion, we will send you via e-mail a copy of your book review, and have it professionally posted at 7 of our author book related sites plus on your Amazon page, Barnes and Noble page and at Goodreads. Each post of the book review comes with a image of your book cover and a link back to your authors website, blog or a book page of your choice. Get a professional Christian Book Review of your book. We not only have the ability to professionally review your book. We also have the ability to place the book review on up to 100 separate Christian sites within our Christian network that all tap into the Christian Marketplace. Plus all of our sites are networked with other great networks, sites, communities, social communities, feeds and directories. The marketing simply expands into these areas also. Plus all of our services come with a link that leads people back to your authors website or blog. A Author's Press Release can be a powerful marketing tool and a great way to place your book release in front of radio, television, news, publishers and other media professionals. A Author's Press Release does not have to cost you a arm and a leg. Let CBM write and submit your Christian Author's Press Release. Christian Book Trailers don't have to be expensive. After all the purpose of the book review is to market your book, not win a Grammy for the most money spent on the book trailer. We can create and produce a cost affective book trailer that will get your book up in lights. ~ An About the Author Page.~ A Book Description Page.~ A Book Review Page. ~ A Press Release Page. ~ A Book Trailer Page. ~ A How and Where to Order Page. ~ The Ability To Post Content Directly (articles) To Your Blog By Email. ~ Direct Link To Your Author Book Page at Amazon. Christian Book Marketing by CBM Christian Book Marketing, Helping Christian Authors share the Kingdom of God and get the WORD out.